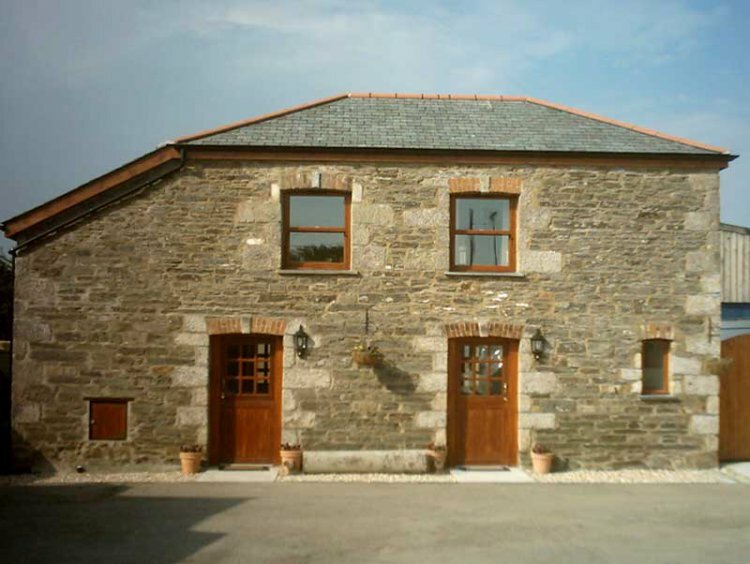 'The Shire Stalls' is a nicely presented semi-detached barn conversion just one mile away from the beautiful sands at Holywell bay and with a choice of beaches including Perranporth, Crantock and the famous Newquay Fistral beach just a short car journey away. Public footpaths lead practically from the front door for miles of beautiful rural or coastal walking in both directions. Holywell Bay is reachable on foot in around 20 minutes! From the courtyard with parking for two vehicles The Shire Stalls is entered into the comfortable lounge. With seating for four people, LCD TV with Sky, DVD player and WIFI. The ground floor twin room has 2 x 3' single beds with a combination wardrobe offering both hanging and drawer space. Opposite is the family shower room, being fully tiled and having a shower cubicle with electric shower and matching toilet and handbasin. The kitchen is well-equipped with double oven and 4-ring gas hob, under counter fridge/freezer, and a microwave. Upstairs is the master bedroom with 4'6" double bed, bedside tables and lamps, combination wardrobe and a chest of drawers. Adjoining the bedroom is a useful room suitable for a baby in a cot or for using as a changing room. Outside is a private enclosed gravelled garden with BBQ and picnic bench. Rental includes bedlinen, electricity, gas, WIFI, tea towels and hand towels (please bring your own bath sheets and beach towels). Two well-behaved dogs are welcome by prior arrangement at £25 per week per dog. Dogs must be kept on a lead while on the premises as the owner keeps tame ducks and chickens. No smoking.